We’ve all heard about the upheavals at the BBC in recent years – moving its HQ, the licence fee freeze - but a huge cost over most of the last ten years has been laying off large numbers of staff. Unsurprisingly, this has been kept on the DL. 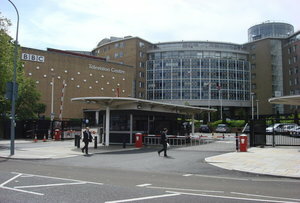 Around 6,000 former BBC staff have received redundancy payouts averaging about £46,000, according to information disclosed under the Freedom of Information Act and the made public by the Guardian. The information also revealed that at least one departing member of staff was awarded almost £1m. No prizes for guessing who. The BBC claims that the payouts were part of the ‘overall efficiency package’ that has apparently resulted in savings of £2.7bn. That’s a pretty hefty sum, but one wonders if moving to plush offices/studios in Salford was the right choice if money was looking a bit tight. It’s worth noting that on the current tariff, £277m is about equal to 1.9m annual TV licence payments. Seeing as TV licence fees are compulsory, many might be angry that so much was spent to downsize, but the BBC’s ultimate responsibility is value for money, and a leaner, more efficient BBC might yet deliver more bang for buck.